Selection snubs despite good performances have left him feeling hurt but veteran Indian off-spinner Harbhajan Singh says being ignored repeatedly has not dampened his spirits and he would continue to try for a comeback in the national team. Attributing Kolkata Knight Riders‘ (KKR) second Indian Premier League (IPL) title triumph to Gautam Gambhir‘s leadership skills, the team’s bowling coach Wasim Akram said he is the best among all the IPL captains this season. Yusuf Pathan has credited team owners Shah Rukh Khan, Jai Mehta and Juhi Chawla for his fine form, saying that they backed him even after a lacklustre run at the start of the season. Memories of the 2012's grand felicitation of Kolkata Knight Riders at Eden Gardens are set to be re-lived with the West Bengal government and Cricket Association of Bengal having planned a similar programme at the same venue tomorrow morning. 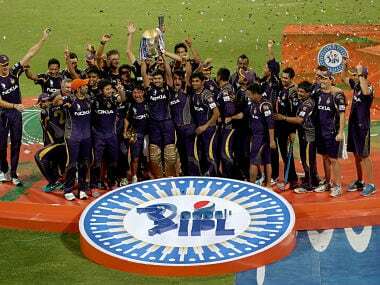 The IPL 7 has finally come to an end with the Kolkata Knight Riders ending up as worthy winners. It was a long journey and this edition gave us a lot of moments to savour. Here are some of the moments that made the IPL 7 special. Kolkata Knight Riders skipper Gautam Gambhir on Monday said the 'master move' of picking quality bowlers, instead of buying big batting names during February auction helped the team to pocket its second Indian Premier League title. Kings XI Punjab captain George Bailey doled out a whole-hearted appreciation for a number of Indian players and coaching staff, who he says were vital in his team's grand success in the just concluded seventh edition of the IPL. 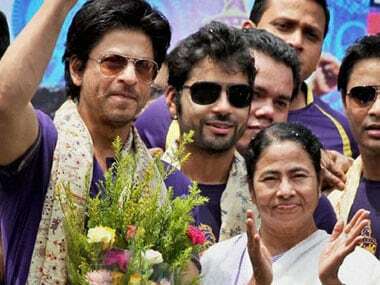 West Bengal chief minister Mamata Banerjee congratulated Kolkata Knight Riders and team owner Bollywood badshah Shahrukh Khan for the side's triumph in the seventh Indian Premier League. What the 58-ball 122 innings against CSK showed is that there is still cricket left in Sehwag. He can create the old magic, this knock might just have given him the much-needed confidence. Sometimes, one innings can bring about a turnaround and this might just be that innings. 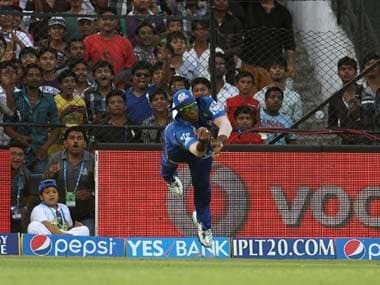 CSK vs KXIP qualifier: Will Ashwin be able to conquer Maxwell? Ashwin has thrown the gauntlet in their battle, Maxwell has had the upper hand so far and it will be a big challenge for the off-spinner to come out on top against the Australian.